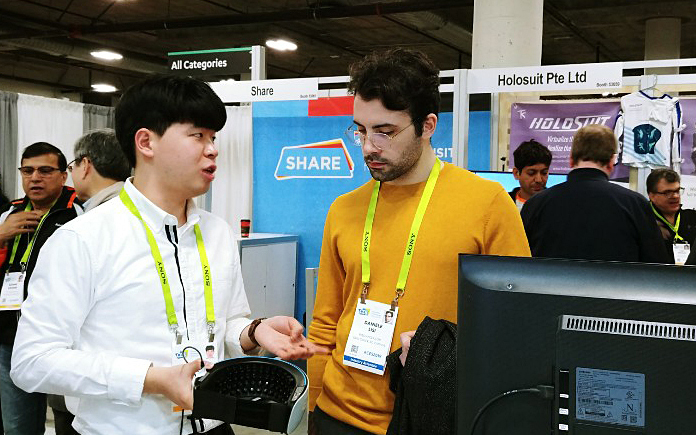 Ten of the most innovative technologies spun off from KAIST made a debut at the Consumer Electronics Show (CES) 2019, the world’s largest consumer electronics and IT exhibition being held in Las Vegas from January 8 to 11. 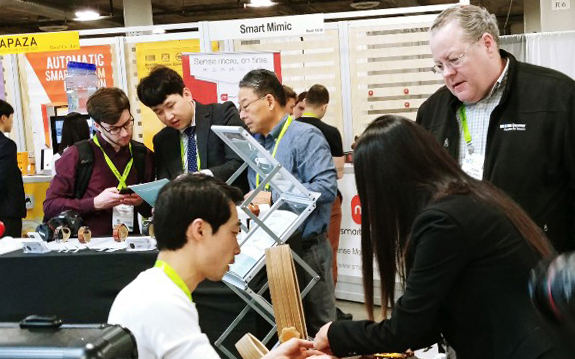 The KAIST booth at the CES featured technologies made by KAIST research teams and five startup companies including LiBEST, Memslux, and Green Power. In particular, the KAIST Alumni Association invited 33 aspiring alumni entrepreneurs selected from the KAIST Startup Competition to the show. At the exhibition, KAIST is presenting innovations in the fields of AI and Bio-IT convergence for the Fourth Industrial Revolution. 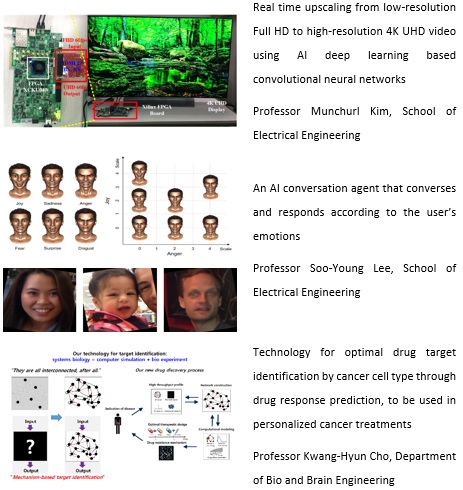 These include real-time upscaling from Full HD to 4K UHD using AI deep learning-based convolutional neural networks (Professor Munchurl Kim, School of Electrical Engineering) and an AI conversation agent that responds to user’s emotions (Professor Soo-Young Lee, School of Electrical Engineering). 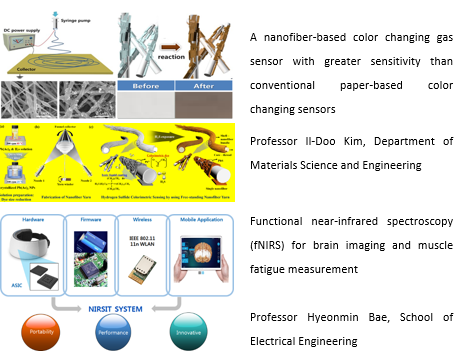 Other technologies include optimal drug target identification by cancer cell type through drug response prediction to be used in personalized cancer treatments (Professor Kwang-Hyun Cho, Department of Bio and Brain Engineering), a nanofiber-based color changing gas sensor with greater sensitivity than conventional paper-based color changing sensors (Professor Il-Doo Kim, Department of Materials Science and Engineering), and functional near-infrared spectroscopy (fNIRS) for brain imaging and muscle fatigue measurement (Professor Hyeonmin Bae, School of Electrical Engineering). 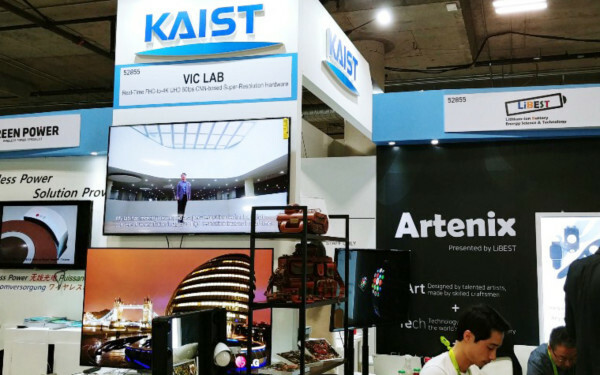 The KAIST booth also features startups founded by KAIST alumni including LiBEST with a flexible lithium polymer secondary cell optimized for smart wearable devices and Rempus with a high-performance lithium ion cell packaging technology for outstanding safety, high capacity, long life, and fast charging. Green Power and Smart Radar Systems are also joining the booth with a highly efficient and eco-friendly wireless charging system for electrical cars, and a 4D image radar sensor that detects 3D images and speed in real time for applications in self-driving cars, drones, and security systems respectively. Faculty-founded startup Memslux (CEO Jun-Bo Yoon, School of Electrical Engineering) is presenting a transparent surface light source solution for next-generation display devices. Here are the five key technologies presented by KAIST at CES 2019.